In our previous article about IR 4.0, we highlighted a few major technologies of our age. Now we want to discuss 3D printing from a more comprehensive perspective. The term 3D printing is not that new, it came to life in the early 2010s. However, the concept of this technology has been evolving since the 1980s. In general terms, 3D printing is a process of making three-dimensional objects from added materials. Additive process is the central part of the action. The printing operation is made by forming layer after layer and as a result creating a full-size object. 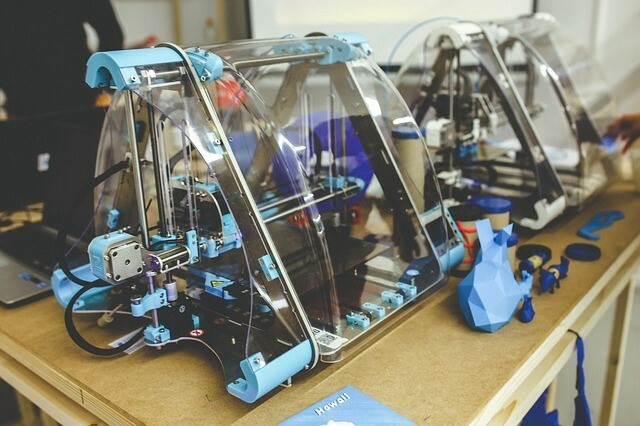 Many industries recognize 3D printing as a cost-effective solution for business. Vehicle manufacturers use this printing technique to produce prototypes and some of the automobile parts. The robotics industry is rapidly growing and alongside adopting 3D printing. Even fashion brands are experimenting with this innovative technology to improve their garments. Some of the recognized 3D printing companies that specialize in this technology are HP, Materialise, 3D System, Proto Labs. It would be a mistake to say that 3D printing is not a growing market, but do you know what impact it leaves on our society? A few years ago, 3D printing caused many debates. The technology was on a spotlight due to its easy usage and excellent designs. Currently, the hype has dissolved, but this technique still stays as an innovative method to design and develop objects. It sounds quite basic, but in the real world 3D printing plays an immense role in our society’s future. Here we listed a few examples on how this technology is changing our lives. Healthcare — when the world heard about the possibility of transplanting organs made by computers, everyone was intrigued. With no doubt, many would agree that it’s the discovery of the age, but the technology still has a long way to go. In the medical sector, scientists use 3D bioprinting. 3D bioprinting is a technique that creates body parts using the same printing method. But the difference is that to shape an organ it uses bioinks or biomaterials. Now scientists are working on improving this method, so it could be used every day to help people. 3D printing software can recreate some organs like livers, kidneys, hearts, skin. However, at this stage, it’s hard to make a digital tissue mimic the real organ. More encouraging is prosthetics manufacturing. 3D printing allows executing precise and functional body parts that can replace lost or harmed limbs. Moreover, this technique offers a way cheaper service and can recreate almost ideally working prosthetics.